Earlier this year International Gay Rugby (IGR) signed an agreement with World Rugby to actively remove homophobia from the sport. Now IGR signed a "memorandum of understanding" — which "recognizes the right of any player, official, coach, and spectator to be involved in rugby without bullying, discrimination, or exclusion of any kind, and celebrates the differences that make its members unique" — with USA Rugby, the national governing body for the sport of rugby union in the United States. "USA Rugby is thrilled to be joining IGR in the advancement of diversity and inclusion throughout the sport of rugby, as well to eliminate homophobia from the game," Nigel Melville, CEO of USA Rugby, said in a statement. "Following in World Rugby's footsteps, we are steadfast in ensuring that rugby remains and continues to grow as a sport for individuals from all walks of life." This is one step to improve acceptance of LGBT members in leagues and, as Jeff Wilson, chairman of International Gay Rugby, stated: "The signing of this agreement is a great example of the commitment of USA Rugby to eliminating homophobia from the sport at all levels. We look forward to our continued partnership in creating a safe and homophobia free environment for all players, proving that rugby is the most inclusive sport in the United States and in the world." The Mark Kendall Bingham Memorial Tournament, named after a gay American rugby player who died on United Flight 93 on September 11, 2001, is the flagship global event for IGR Member Clubs. The next Bingham Cup will take place in Nashville, Tenn., in May 22-29, 2016. 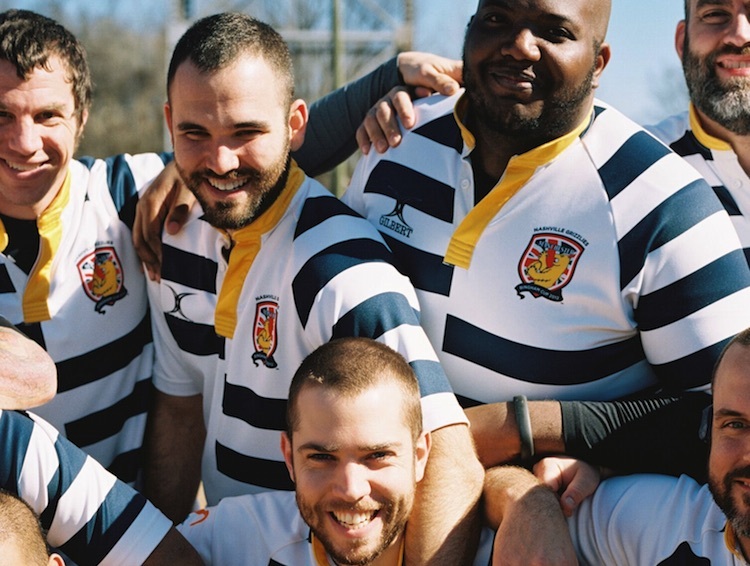 Hosted by the Nashville Grizzlies RFC, it's the first time it's ever been hosted in the mid-South and the first time it's been hosted in the United States since 2010.